Possibly the effect of Jet2 moving into the London area as many of those decreases seem to be on sun routes especially from Gatwick. I doubt an expansion at Stansted would affect BA at Gatwick much. 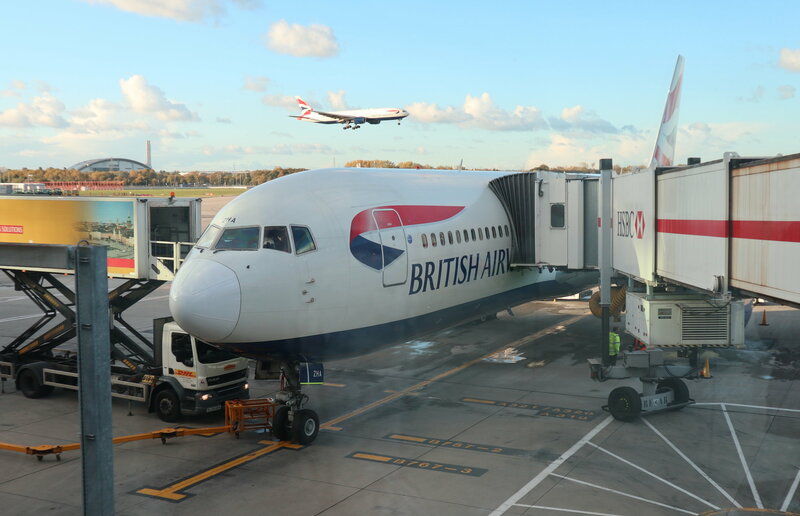 At the time of the Monarch collapse when BA acquired their slots at Gatwick, I recall BA saying they had plans for long haul but couldn't get the aircraft quickly enough hence they used the slots for short haul this year. Whether that's still the case and we see a number of new/expanded long haul routes ex Gatwick next year remains to be seen. 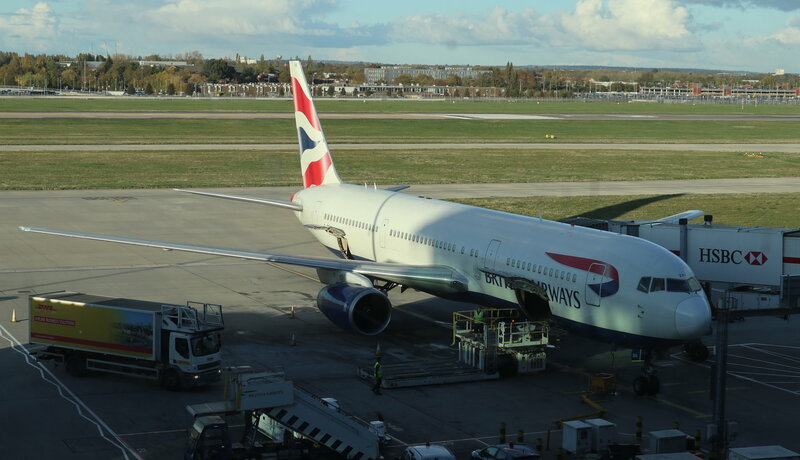 At the moment G-BZHA the last BA 767 and also the only one I've flown on, is currently operating the last BA 767 revenue flight from Larnaca to Heathrow and tomorrow will fly to St Athan in Wales for retirement. Interesting to see what will happen with IAG over any no deal Brexit! Its just being confirmed that British Airways are to repaint some aircraft into retro liveries to help celebrate it's 100th centenary year.. The first aircraft to be painted up will be Boeing 747-400, G-BYGC which will get the BOAC (British Overseas Airways Corporation) livery. She will be painted over in Dublin and be ferried to the airlines London Heathrow base on February 18th 2019. This will mark the date of the first flight of a Boeing 747 Jumbo 50 years ago. It's rumoured that there'll be 4 so i wonder what the other 3 will be? 1961 to 1974 BEA "British European Airways livery"
1974 to 1984 British Airways "Nagus Livery"
All 747s do you know? Hopefully the BEA livery would go on one of the short haul Airbus aircraft. The British Airways has confirmed today the retro liveries will not be applied to any of its newer aircraft which are being delivered. So that rules out the like of the new Airbus A320NEO's, A350, A380 or Boeing 787 Dreamliners. From what a BA 747 pilot said on twitter the 747s were picked because most will be going out of service in a few years and they won't have to repainted back like the more newer aircraft would. Shame really would've been nice to see a retro livery for each type of aircraft they operate. Looking to go to New York from Heathrow next year, hopefully I'll be lucky enough to travel on one of these planes. Have heard from a BA contact it will be three 747s and an A319 (G-EUPJ), so I guess the BEA livery will be on the A319 and we may see it at LBA. According to FR24 G-EUPJ is 18 year's old so maybe this will be it's last paint job before retirement. It's good that they'll have a short haul one as it gives many spotters a chance to see it without having to go to Heathrow. If they are going to do a BEA scheme as they should, it has to be a short haul aircraft it would be ridiculous on a 747, the proposed BEA scheme stood out for me with the bright red under the wings as they flew over my house a couple of miles from the end of Elmdons old short runway way back in time. Latest rumour involving the retro liveries is that the British Airways "Nagus" & "Landor" liveries will be applied to Boeing 747-400's G-BNLY & G-CIVB. Also a single Airbus A319 (reportedly G-EUPJ) will wear the "BEA" livery to operate on domestic routes..
Don't get me wrong it is good, but if am honest its not as good as the "To Fly to Serve" adverts we had a few years ago.